A mother or a housewife always busy with so many activities, like cooking, preparing meals, cleaning the house, ironing, doing laundry and many more. 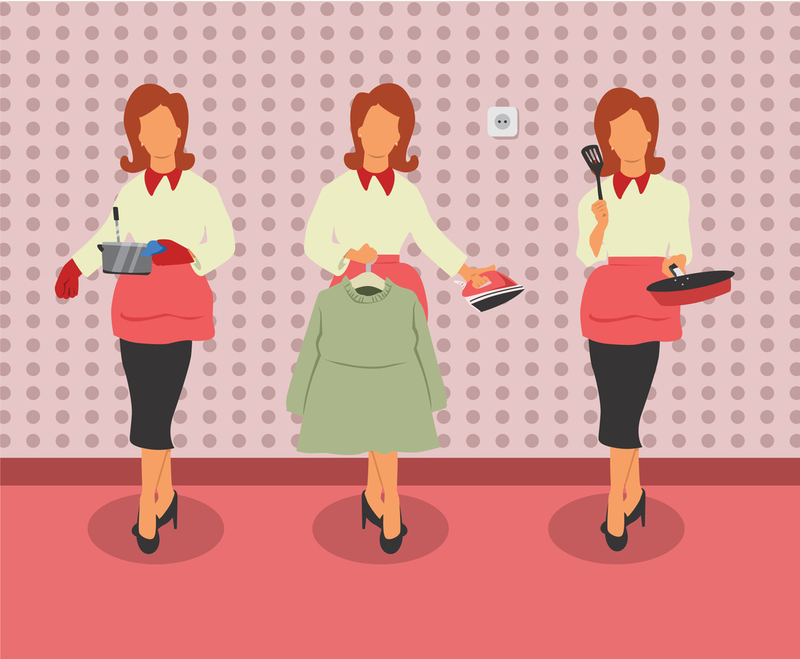 So if you need a vector illustration set about housewife and her activities, you can take a look of this set. It has vintage style design and it will be nice as part of any product advertisement related to household, either for print or web.